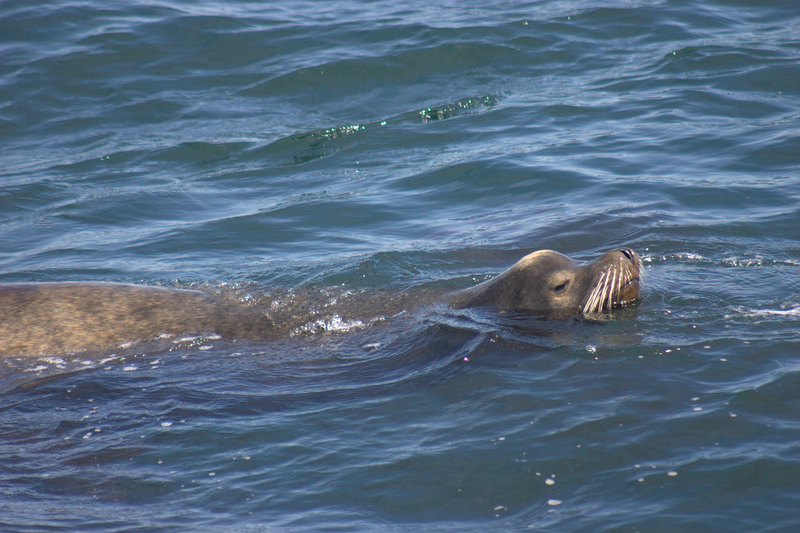 The four conservation parks that comprise the nearly 60 acres of the Dana Point Headlands Conservation Area include Harbor Point Conservation Park, Dana Point Preserve, Hilltop Conservation Park and the South Strands Conservation Park. The conservation parks are home to over 150 species of plants and animals that are native to coastal Southern California including the Federally Endangered Pacific pocket mouse. The Dana Point Preserve is owned and managed by the non-profit Center for Natural Lands Management (CNLM), whose main resource objectives at Dana Point are the protection, restoration, and enhancement of the coastal sage scrub habitats and populations of Pacific pocket mice and coastal California gnatcatchers residing on the Preserve. The Pacific pocket mouse population is one of only three remaining populations in the wild. The trail system covers approximately three miles and includes pedestrian trails, coastal and beach access, scenic overlooks, and the Nature Interpretive Center. The trails maximize public coastal access and ocean view opportunities while conserving the extremely rare resources on the Headlands. The trail head is located at the south end of the parking lot, adjacent to the Nature Interpretive Center. For more information on the Dana Point Headlands Conservation Area, please visit www.danapoint.org. Visit www.friendsofthedanapointheadlands.org to join the Friends of the Dana Point Headlands, a non-profit organization working to “inspire and enhance the conservation of the Dana Point Headlands”. Whales are visible directly from the Nature Center patio and from the CNLM Dana Point Preserve Trail, specifically Overlooks 2 and 3. Trails are open from 7am to sunset daily. Binoculars are available for free and can be checked out from the Nature Center which is open Tuesday through Sunday from 10am to 4pm. 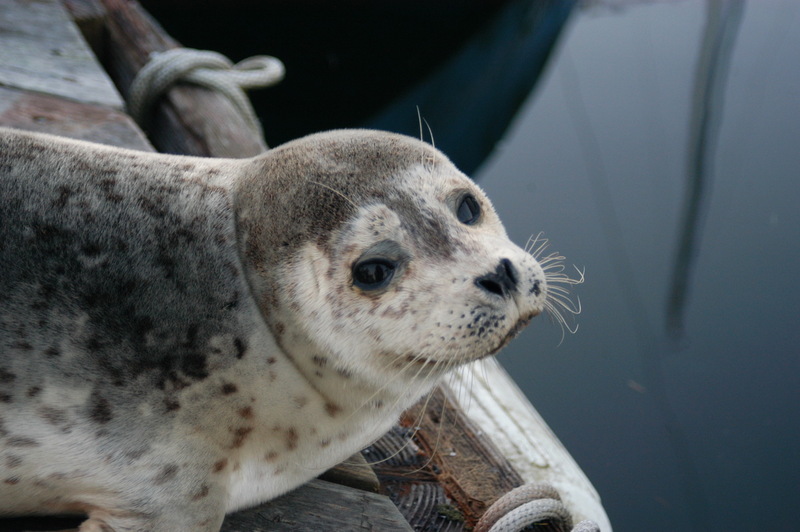 Many marine mammals can be seen year-round, including common dolphins, bottlenose dolphins, sea lions, pacific white-sided dolphins, and a humpback whale or two. 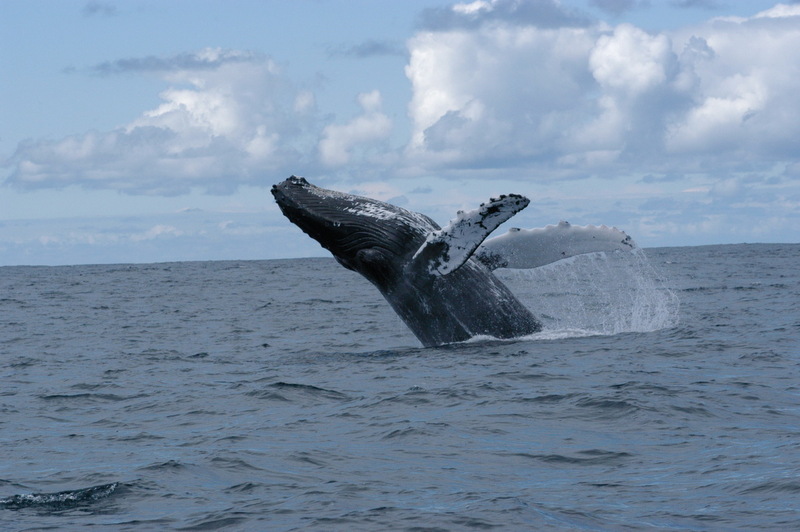 Between the months of December and mid-May, Grey whales are seen during their annual, 10,000 mile migration. 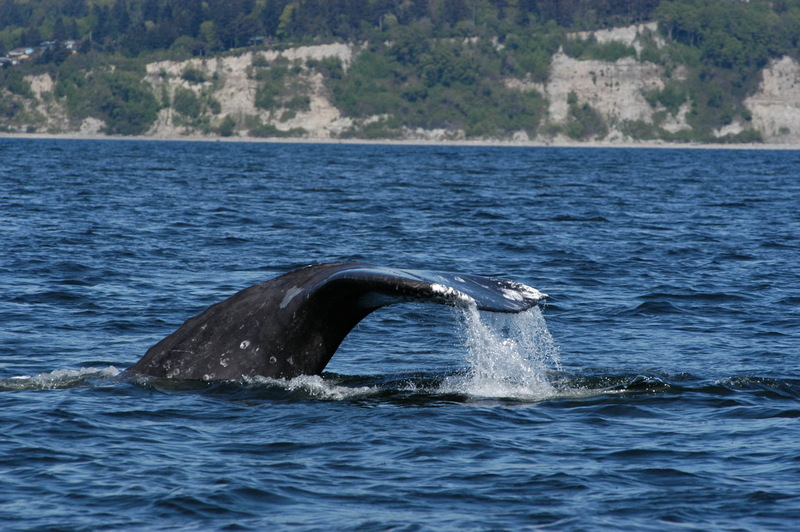 In the summer months, blue whales can be seen off shore in summer months. 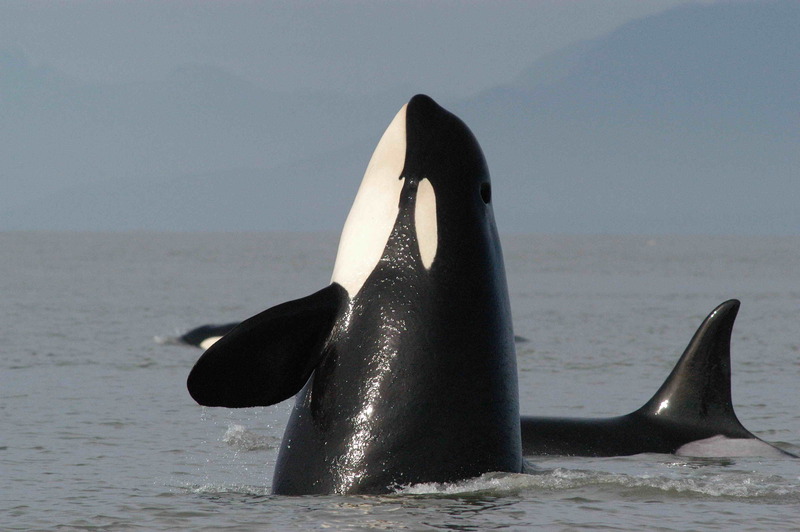 On rare occasions, transient pods of Bigg’s orcas have been spotted from shore. A free, educational tour, the “Whale Walk & Talk” is offered every second Saturday of each month from 9am to 11am beginning at the Nature Center. 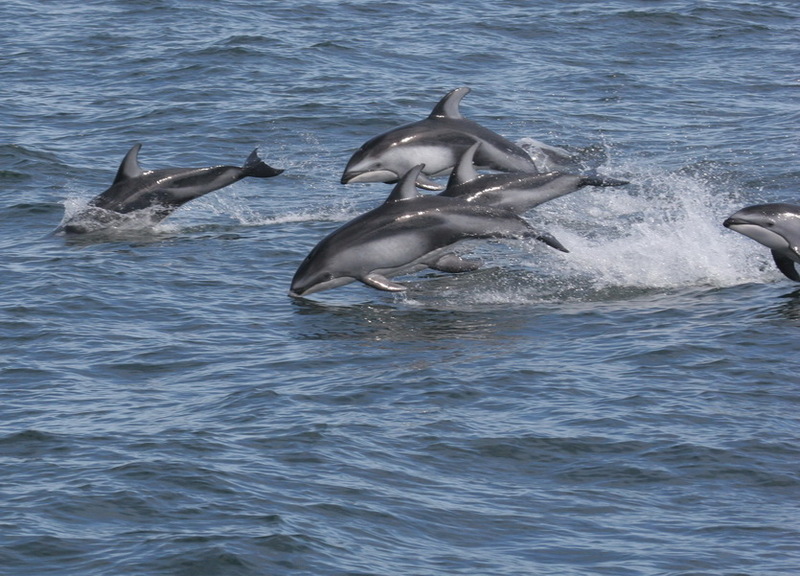 The tour is a docent-led walk along the CNLM Dana Point Preserve Trail where guests learn about the whales and dolphins frequently seen in the Southern California area and, depending on the time of year, may spot a whale or two from shore. The City hosts the Festival of Whales (www.festivalofwhales.com) each year in March to celebrate the Grey whale migration.